SYNOPSIS: The del Cisne girls have never just been sisters; they’re also rivals, Blanca as obedient and graceful as Roja is vicious and manipulative. They know that, because of a generations-old spell, their family is bound to a bevy of swans deep in the woods. They know that, one day, the swans will pull them into a dangerous game that will leave one of them a girl, and trap the other in the body of a swan. If you ever need a story that’s guaranteed to give you all the feels, break your heart, and look good doing it, Anna-Marie McLemore’s definitely the right woman for the job. If this tells you anything about how much faith I have in her writing, I don’t even like the fairytales this book pulls from, yet it’s still been one of my most anticipated releases of 2018. I could not let that kind of distance spread between me and the girl I’d mapped the woods with, both of us learning them as well as each other’s faces. One thing that I’d like to mention is the magical realism aspect to Anna-Marie’s style, and how I think readers will fare with that in general. I know the lyrical writing style caused a lot of my friends to dislike her last release, Wild Beauty (which I adored, but art is subjective!). If that describes you, I think you’ll be happy to know that the magical realism facets of Anna-Marie’s storytelling felt substantially less prominent in this book than they did in Wild Beauty. In fact, if you’re looking for a book to introduce you to the MR subgenre, I think Blanca & Roja would be perfect for it. Roja and I had woven the roots of ourselves together so well that if she was ripped from the ground, I would be wrecked. Not only is the writing lovely, but these characters just won me over so effortlessly! Blanca and Roja, our title characters, are the most wonderful sisters. They care so much for one another and want so desperately to find a way to save one another from their family’s curse, that they’ve spent their entire lives trying to find a way to trick the swans so that they won’t take either girl. Their desperation and fierce protectiveness of one another will give you all the warm fuzzies, and even when they fight, their love for each other never leaves center stage. But I would not let the swans write our story for us. Besides the sisters, their love interests are precious, broken, soft boys that really stole the show for me. I loved the sisters, but I loved Page and Yearling. They aren’t living under the weight of a blood curse, they’re just trying to survive a world that they don’t feel like they fit perfectly into, for one reason or another. I can’t say much about Yearling without spoiling a mystery surrounding his character, but I will say that he broke my heart over and over. Page, on the other hand, is such a sweet, lovable little thing. He’s trans and nonbinary—modeled after Anna-Marie’s own husband!—and if you ask me, very few authors write queer characters quite as lovingly as Anna-Marie does. There is a lot of representation going on in this book, by the way. With Page, we obviously have this trans/nonbinary rep, but we always get this insight into how nuanced and specific his identity is to him, which is such a legitimate thing for a lot of people! With Yearling’s character, he’s recently become disabled (partially blind), and I loved how much time is spent focusing on his struggles to adapt, and how respectfully it’s handled in the book’s dialogue. There’s also an absolutely lovely f/f side couple that we spend a bit of time with later in the story, and I couldn’t write this review without mentioning the fantastic period rep that anyone who’s ever suffered from serious menstrual problems will relate so hard to, like I did. To them, Roja’s hair was a sign of her wickedness. To them, I was weak, a girl born without fingernails or teeth sharp enough to get into anything. Perhaps the most prominent piece of the representation is the struggle of colorism and racism that these beautiful Latina sisters go through. Roja is brown-skinned with dark red hair, whereas Blanca is mostly white-passing with pale skin and golden hair. Their community has used the differences in their appearances to form assumptions about the girls and which sister the swans will choose, and it functions as a divide between them at times. It draws light to how much pain colorism can cause within a community when one girl is valued above another for having a white-passing appearance, and it’s heartbreaking, but necessary. It is not a story about realizing you have become beautiful. It is about the sudden understanding that you are something other than what you thought you were, and that what you are is more beautiful than what you once thought you had to be. 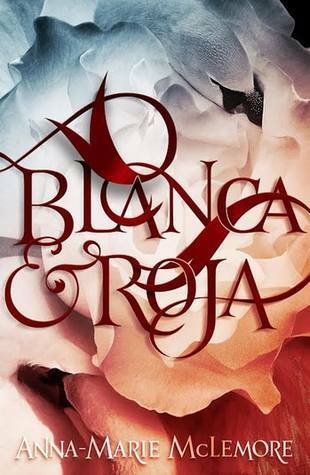 Final thoughts: Blanca & Roja is an absolutely gorgeous fairytale retelling that everyone should read, especially if you’re a fan of magical realism to begin with, or if you’re looking for a fantasy story with endlessly diverse representation. The characters are a delight to read from, and you simply can’t help but become emotionally invested in the entire scenario from start to finish. Wonderful review Destiny! I’m looking forward to read this book too! Thank you! ♥ I hope you enjoy it! Yay, I hope you love it!! It was so lovely! I hope you enjoy it. ❤ And thank you! This sounds wonderful, I’m so glad it’s on my tbr! Yaaaaay! As it should be. 😀 Thank you so much, love! I can’t wait to hear your thoughts on it. Thank you! I honestly think it would be such a good intro to MR, so I really hope you love it. ♥ If you find that you enjoy the writing style, I totally recommend her 2017 release, Wild Beauty, too! Thank you, love! It’s so gorgeous so I hope you enjoy it if you read this one (or anything else by her). Oh, if you love MR, I think you will LOVE her writing. I think Maggie Stiefvater is my favorite MR writer, and then Anna-Marie is just right directly behind her on my list. Thank you, Marie! Yes, her writing is SUPER hit and miss—I find a lot of people don’t like “purple prose” or lyrical writing. Have you read/enjoyed anything by Maggie Stiefvater or Laini Taylor? I feel like her writing is a little similar to both of theirs (without the humor in Maggie’s, though). Either way, I hope you like this if you pick it up! Thank you!! ❤ I really hope you love it when you read it! BBB YOU’VE GOT THIS. 😂 I have faith in you! I actually managed to NOT order books! Lmao! That’s exactly how we were. I remember literally at one point being like, “Okay, I KNOW *that* stroller is $40 cheaper, but *this* one has TWO cupholders in the handle which means I can put my drink in one and my keys in the other!” … we got the more expensive stroller, needless to say. 😂 A nice stroller is such a worthy investment that we didn’t feel bad. I have the ebook checked out right now and have been so excited to start it soon!!! Your review’s got me even more excited!!! Yaaaay, I hope you love it, Ari!